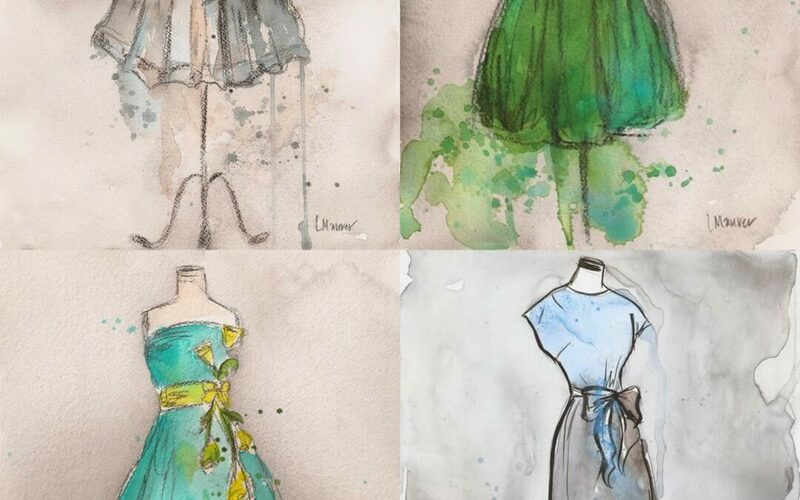 Art ~ Lauren Maurer ~ Watercolour Vintage Dresses! I am blown away by the beauty of these paintings by Lauren Maurer. They just seem to capture everything that is wonderful about vintage dresses, in a style that exudes class and softness. Those are beautiful! …very inspiring! How do I purchase these watercolors? I just talked to her, and she has several reproductions of vintage dresses she would be willing to sell. You can contact her though her website or at her email laurenbolshakov@gmail.com and she would be happy to send you some images to consider!